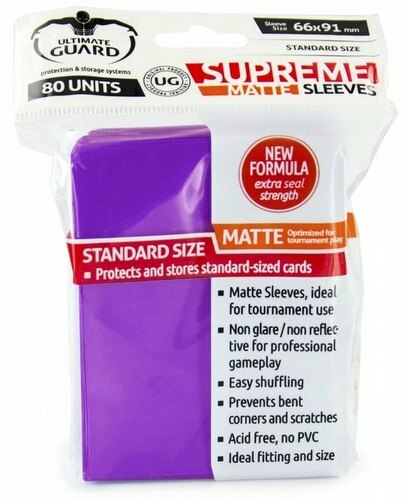 High quality matte card sleeves, optimized for tournament play, for all standard sized gaming cards, like Magic the Gathering™, Pokemon™ and others. 80 sleeves per pack. Each sleeve measures 66mm x 91mm and is made of polypropylene that is 115 microns thick.